Dubai: Indian expats in the UAE have sought clarity on the implementation of the new online registration rule announced by India’s Ministry of External Affairs. They have also demanded the convenience of registering from here. As per the new rule, registration on the government recruitment portal http://www.emigrate.gov.in will be mandatory for Indians not requiring emigration clearance [ECNR passport holders] travelling to work in 18 countries including the UAE on employment visas, failing which they will not be allowed to board the aircraft from January 1. As exclusively reported by Gulf News, the rule will be applicable to all ECNR passport holders already working in these countries as well. India’s top emigration official confirmed that they will have to register only while they are on a visit to India and before flying back to their country of residence on an employment visa. “They also have to register when they visit India and are flying back on their work visa,” M.C. Luther, joint secretary for overseas employment and protector general of emigrants, said over phone from New Delhi. “If they come [to India] on vacation and are returning, they need to register,” Rajesh Sharma, deputy secretary for overseas employment, reiterated in an emailed statement on Thursday. Neither the advisory nor the officials mentioned the need for registering details of dependents and other categories of visa holders like investors. Several Indian expats have sought more clarity in the rules. Denzil Monteiro, an Indian HR professional in Dubai, said HR managers here are unable to advise the Indian employees in their companies about the new rule due to the lack of clarity in the order. The web portal was not accessible for several hours yesterday. Expats also pointed out other hurdles in the registration process such as the requirement of an Indian mobile number to access the registration form. The online form could be accessed only from India by using a one-time password which will be sent to an India mobile number fed by the applicant. 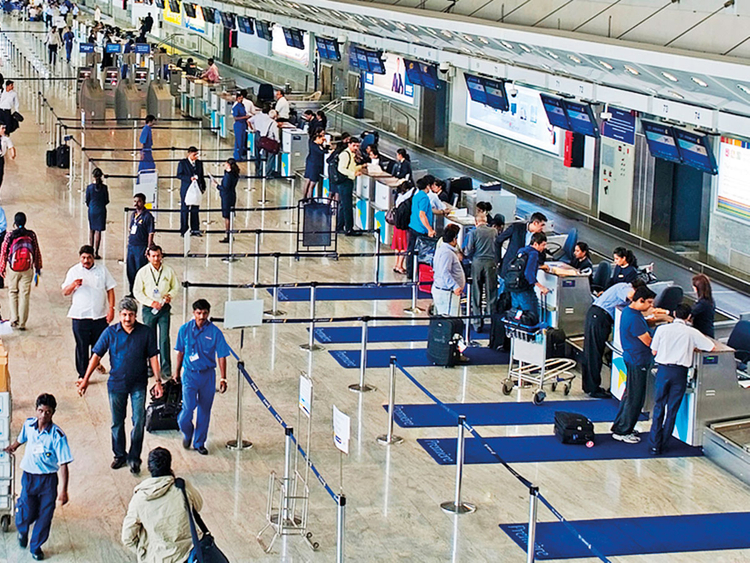 Some expats wondered if they will have to carry the same number while flying out. “Giving the option of using only an Indian mobile number will be inconvenient to many people. Usually, many NRIs use their relatives’ or friends’ mobile numbers while on vacation,” said K.V. Shamsudheen, chairman of the Pravasi Bandhu Welfare Trust in Sharjah. Girish Pant, a member of the Indian Consulate’s community volunteers team, said the initiative will equip the government to help its citizens when they need emergency assistance, and in situations demanding evacuation of Indians from any of the 18 countries notified for emigration clearance. However, expats like Prasad. N, an architect, wondered if the move to collect data is the beginning of plans to tax NRIs. “That is my biggest worry,” he said. Should one have an Indian mobile number to access the registration form or can a family member’s number in India be used? Will expats have to show SMS/email at the airport as confirmation of registration, or will the immigration officials be able to see it in the system? Will they be barred from boarding if they are unable to show the SMS/email, or if the system to verify registration is down for any reason? How can an expat flying to India for a day register 24 hours prior to departure as required in the new rule?